Is there a way to combine the entire NLA sequence into one action so that you can add little tweeks? eg. 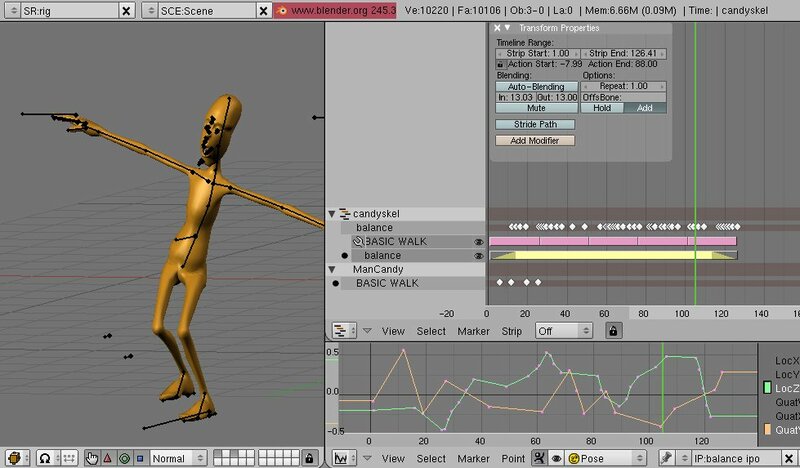 add some randomness to a walkcycle. That doesn’t seem to work if you use the modifier system. Here’s a test blend for you. Notice that the path distort has the torso bone assigned, AND the balance action that is added uses the same bone.